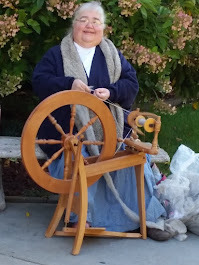 Farm Mom's Musings: Knit On! The day started with a warm turn. So the blankie sized projects stayed in their project bags. But look see! 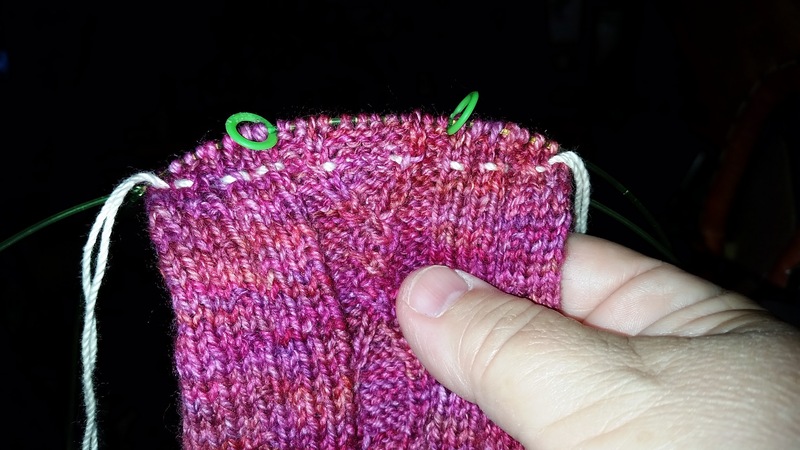 I was able to work on my socks. And I have one finished and the second sock cast on! Even the ends are woven in. 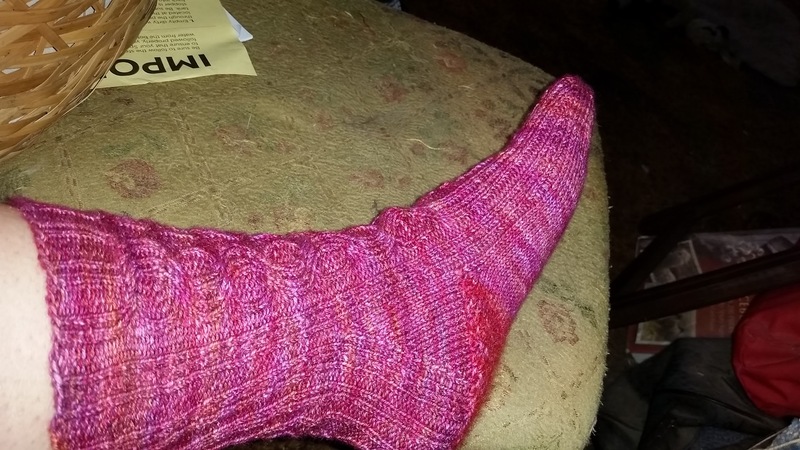 These are the Gold Digger socks in the color Cactus Flower by MadelineTosh sock yarn. I hope the second one goes as fast. It took just one month, with lots of other projects, since the chart work was too hard to do in the evenings. This was the first time I ever used a lifeline on the toes of socks. I was doing my usual toe, because my foot is wider and less pointy then the original. I wanted to be sure I didn't make it too short so put in the lifeline in case I had to rip back. But all was good. I also spent some time in the wool room. A short time back I wanted to start another shawl project. 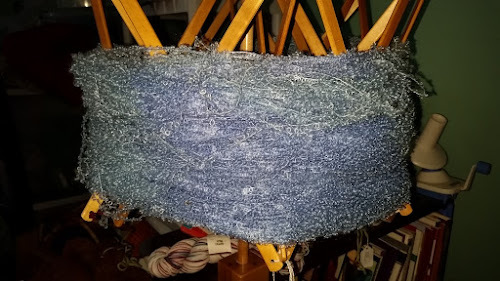 I found some country blue baby loop mohair that had been marinating in the stash for a few years. I heard it say that it wanted to be a Faroese shawl, so I was ready to turn it into a big yarn cake so I could get started knitting. However, after getting it on the swift, and struggling in the heat and humidity to adjust the swift and start winding, there was not an end to be found. 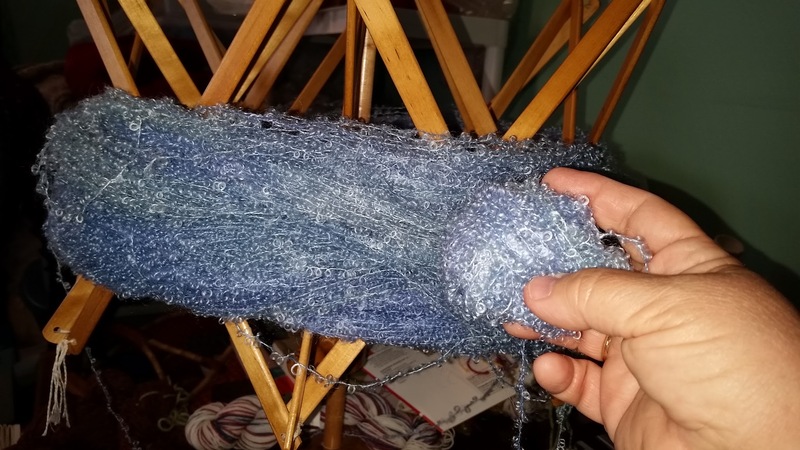 Even after I cut the yarn that was holding the skein together, (in only one place) there was no end attached to it as usual. After struggling for several minutes to find at least one end, I finally gave up, as the wool room was turning into a steam room. Or so it felt, in my frustration. Today, while it was somewhat cooler, I tried again. With no luck finding an end again, after several minutes I finally surrendered. I broke the yarn and started winding by hand. The hand winding was necessary because in searching and poking the skein, as well as the struggle to get it on the swift, the lovely mohair was a bit tangled. This is going to take a while, untangling as I wind. Maybe by the time it is all wound up, I will be able stand to have a lap full of mohair again.